Exciting, social media news! I recently launched the Melissa To and Fro Facebook page. It’s just another way to connect with all of YOU – my wonderful, travel-bug bitten readers. Please take a moment to LIKE my new page by either following the link in this post or simply checking out the new widget located on the blog’s sidebar. In recent travel to-do list news, I finally received my new passport. 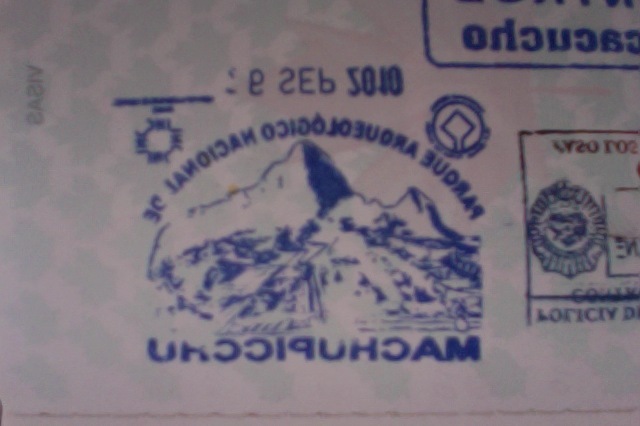 It’s time to beat my record of 37 stamps/visas! Check out one of my favourite stamps below. It’s backwards, but can you make out the destination? Hint: somewhere in South America! A few days ago, I saw this…. No more 20+ hour bus rides! WOW. 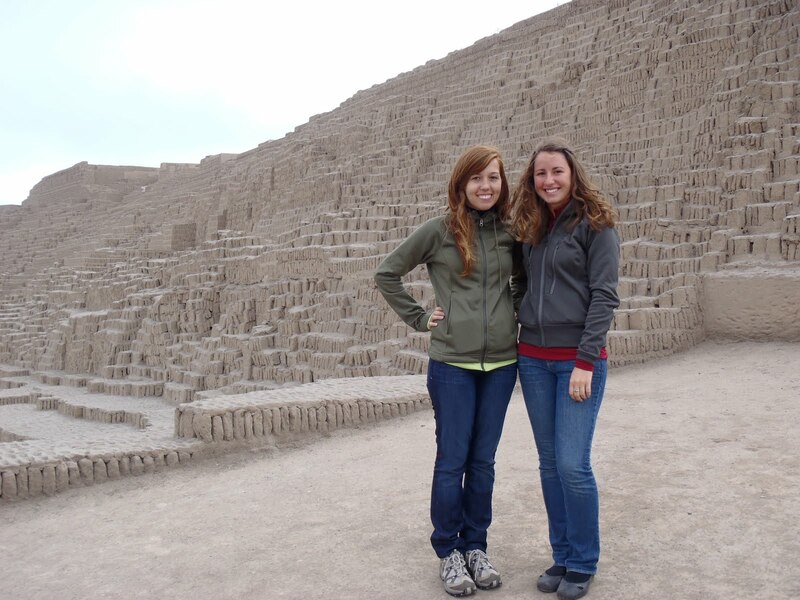 It was one interesting and very LONG journey, but we are finally back in Lima, Peru. The 2500 Km journey up the Pacific coast was painful, but we managed. We took a 4 hour flight that had 2 stops all the way up to Arica, in Northern Chile. I’ve never been on a plane that landed and took off three times before – let alone in just 4 hours, so that was an experience. 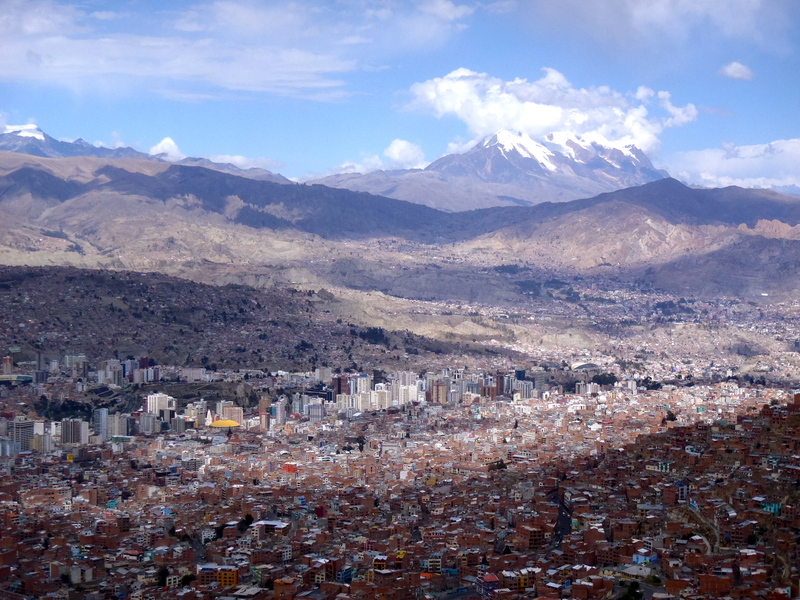 La Paz, Bolivia & the Amazon! 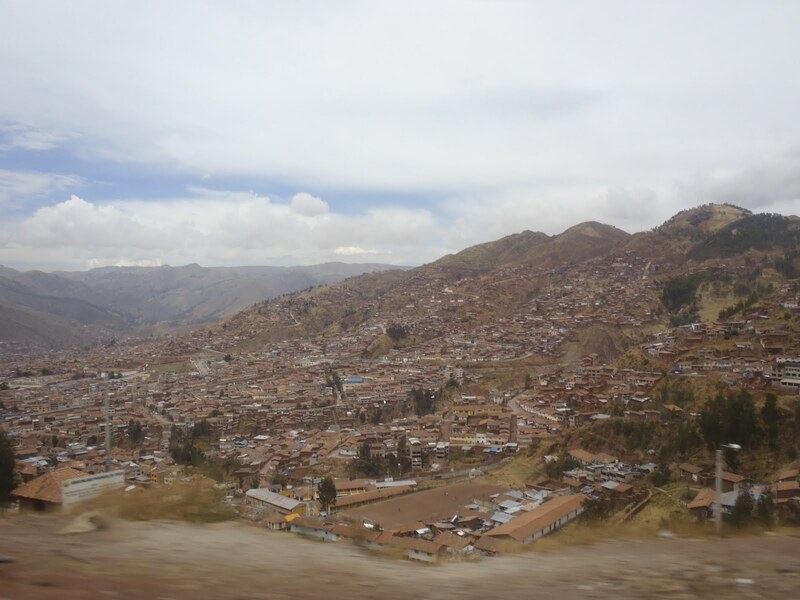 The bus ride from Cusco, Peru to La Paz, Bolivia went a lot smoother than I thought it would be. 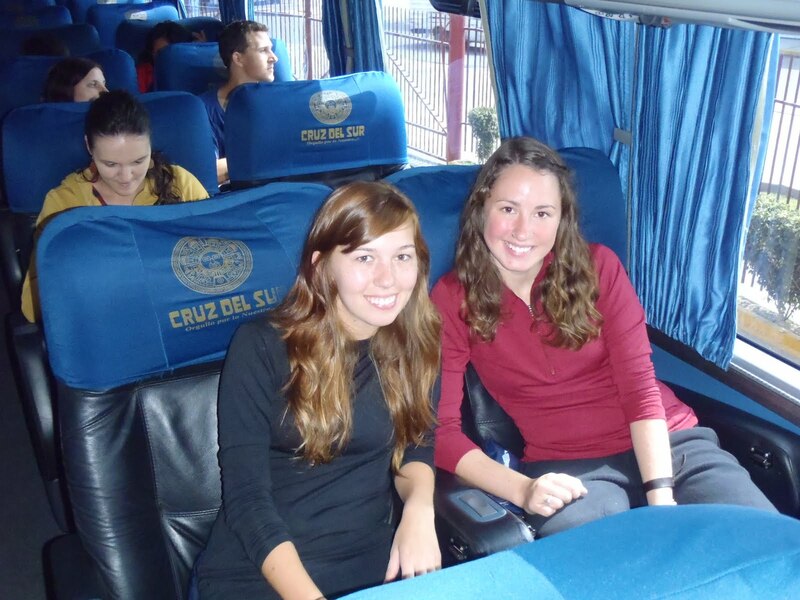 We left Cusco at 10:00pm and were surprised to learn that there were actually two different buses going to La Paz. The bus we booked would cross into Bolivia through Puno, while the 10:30pm bus would go through a sketchier crossing, but is much faster. I decided to just stick with our original, safer route. I have never done anything so difficult and physically tiring in my life! 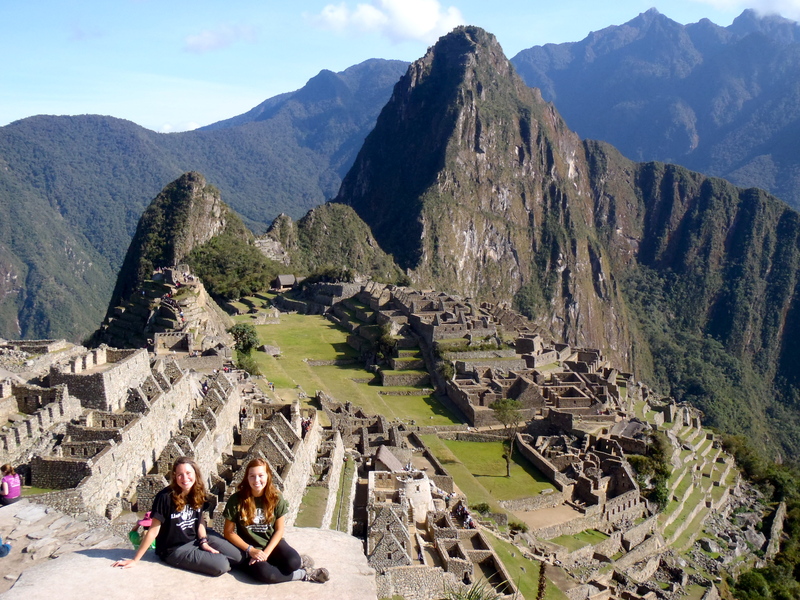 Three months after first booking, Stefanie and I finally started the trek to Machu Picchu along the infamous Inca Trail. We left early Thursday morning with a group of 16 hikers, 2 guides, 1 chef and 18 porters. Quite the team! We booked with the company Llama Path, a sustainable tourism operator. We researched quite a bit beforehand and decided that they seemed like the best fit. It was a little pricey, but overall I am very satisfied with the tour. The guides were knowledgeable and entertaining and the porters had adequate equipment and proper hiking shoes, which is more than I can say about the other porters on the trail. I saw some porters who had only broken sandals to hike in and plastic rice bags to carry supplies. After the whole ordeal last Friday, it was nice to get away for a bit. 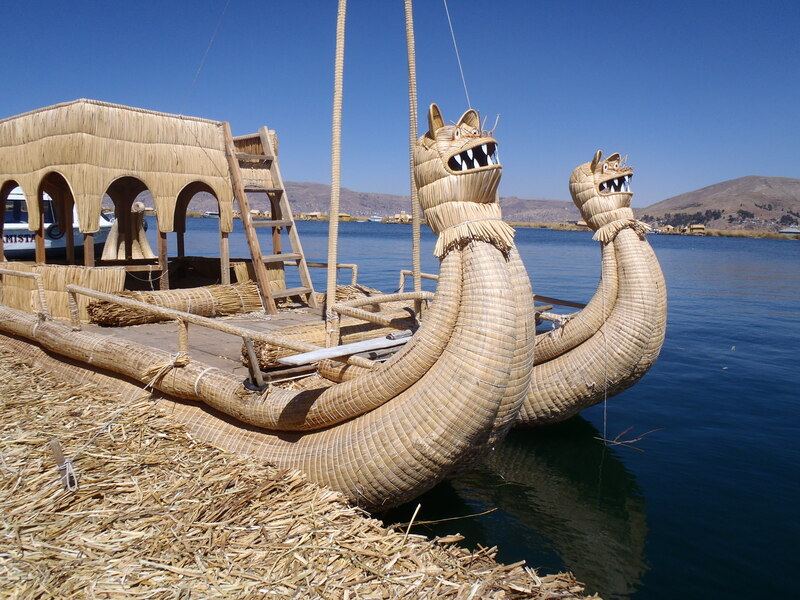 A bunch of the girls from our volunteer house booked a weekend trip to the world’s highest lake in the world, Lake Titicaca, which divides Bolivia and Peru. This past weekend has been a whirlwind of emotions. Friday, five of us from the volunteer house decided to go ATVing in the mountains of Cusco, Peru. I have never been on an ATV and I was a little apprehensive, but decided to go anyways. 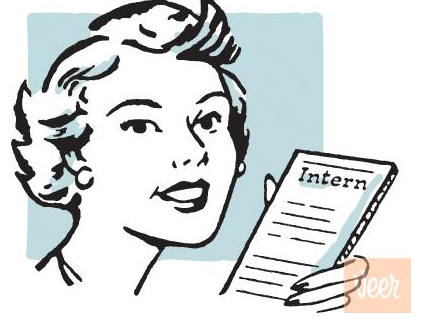 Probably from FOMO, a new term I learned from my fellow housemates…. FEAR OF MISSING OUT. Sorry for not updating, I have been so busy volunteering in Cusco. Last Sunday, I went to a little town outside of Cusco, called Pisaq. I went with Stefanie and two girls from our volunteer house. We weren’t really sure of our game plan once we got there. An ex-housemate of ours had said there was a nice hike where you could see some old ruins without having to pay to get inside the official area. 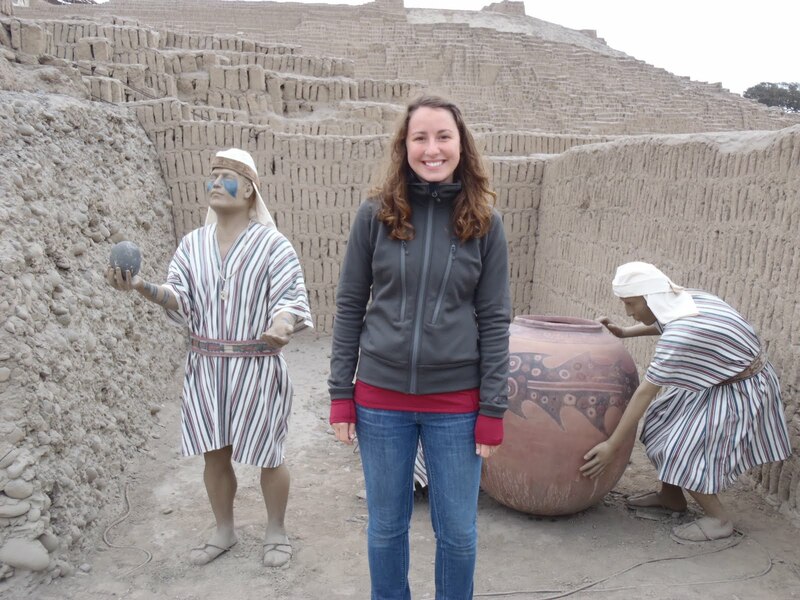 There is also a large handicraft market in Pisaq that we wanted to check out at the end. Once we arrived into Pisaq, we trotted along ‘taxi alley’ to see how much it would cost to take us to the start of the hike. The unanimous answer: 5 soles each ($2) plus another 40 soles just to get into the ruins. 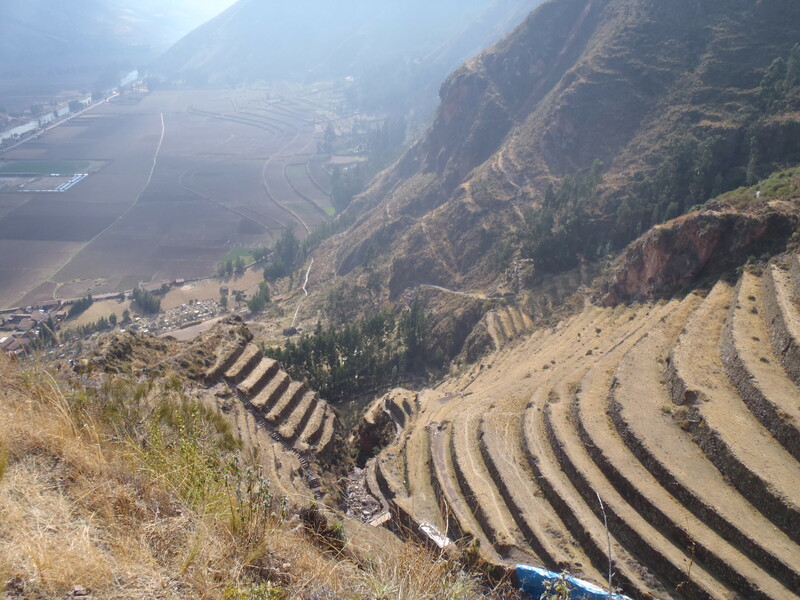 There was no such thing as this ‘free hike’ besides walking along the side of the road and catching a glimpse of the Inca terraces, which were used for agriculture. Basically, we’d miss all the fun stuff if we didn’t enter the official ruins. 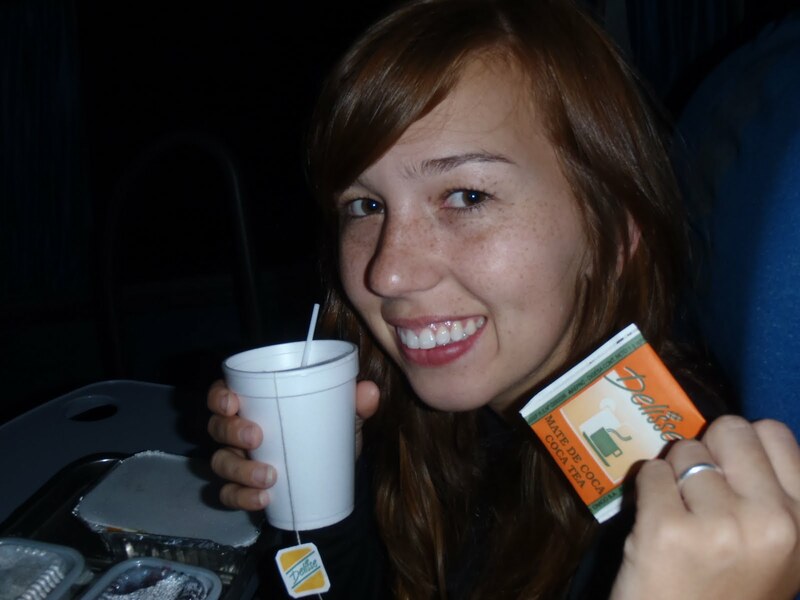 My first time trying coca tea. They have bagged varieties as well as loose leaves. Our first glimpse of Cusco, Peru. It was pretty dusty. We arrived in Cuzco early Saturday morning after a grueling 21 hour bus ride from Lima. The ‘puke bus’ was true to its name and a few people were quite sick throughout the journey. Thankfully with the help of two doses of anti-nausea and a lot of water, Stefanie and I managed to avoid vomiting – although there were a few close calls. To pass the time, I watched 4 movies, played Bingo and slept and then FINALLY we reached our destination. Our first day in Cuzco was spent napping, reading, and drinking coca tea. Coca tea is nature’s remedy for altitude sickness, headaches, temperature sensitivity (it’s cold here!) and pretty much anything else. Coca tea is brewed from the same plant they make cocaine from – so, apparently if we need to take a drug test anytime soon… we’ll fail! You don’t experience any sort of ‘high’ though. We’re also drinking plenty of water. I made it safe and sound. Stefanie and I arrived in Lima’s airport at around 10pm. It was late so we decided to order a taxi from our hostel to pick us up. They had a sign with my name on it and everything. I felt special! So, we met up with our driver and hit the streets of Lima. It was pretty flashy – there was even a fire dancer in the middle of the street. I was actually surprised about how cosmopolitan it felt. I am staying in Miraflores, which is a safer, more upscale neighbourhood of Lima. It’s near the beach and has a cute park in the middle where vendors sell popcorn and children play. I really enjoy the area. It’s very friendly and familial- although someone did ask me if I wanted ‘blow’ which I politely declined and continued on my merry way with a little more speed than usual. I didn’t have any major plans for our stay here. The reception recommended some ruins within walking distance – so I decided to checked it out. The site was very interesting and I definitely recommend it. Basically, an ancient civilization (before the Incas and Mayans) built temples where they would perform rituals and human sacrifices and worship the moon and ocean. Every 20 years, they would cover the temples and build a new one over it. The temples are solid throughout – no rooms or passage ways. 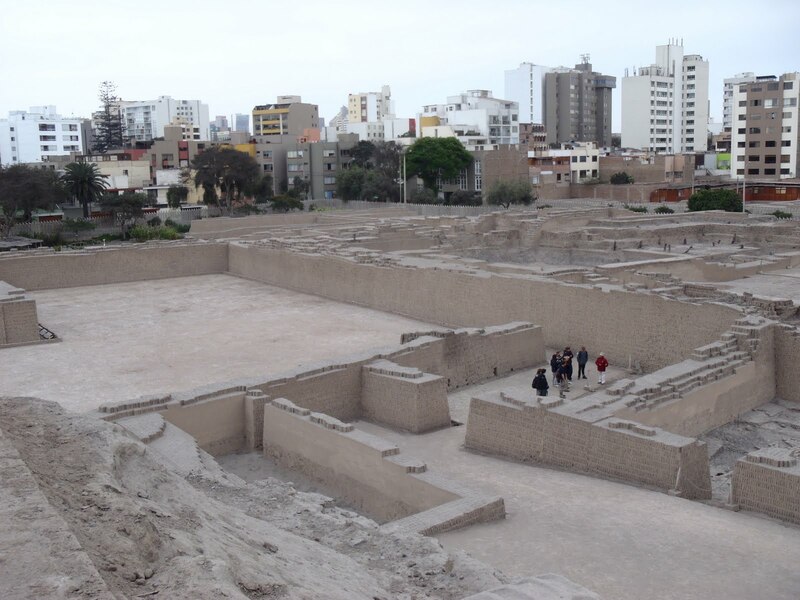 They are very common in Lima, but this particular Waccah (I think that’s the correct spelling) began being excavated in the 1980s. Before that, it was simply a hill in the middle of the city. These people were very small compared to modern day humans. They were so tiny, I felt like a giant standing next to the life-size replica. On the way back, I walked by a house with makeshift barbed wire (i.e. cement layer on top of a concrete fence with shards of glass bottles sticking out from it) If that won’t deter a robber, I don’t know what will! Today, I tried tampales for lunch. We bought them at the grocery store because Stefanie said she had tried one back in Costa Rica. They are made of meat, corn and other ingredients and then wrapped in banana leaves. You are suppose to boil them, but our reception recommended we just microwave them – so we did and they were terrible. Never again! The chicken was actually decent, but the orange mush was NOT. I threw the rest in the garbage and ate a chocolate bar to last me until dinner, but that was also a disaster so we decided to just give up and eat out. We went to this diner-style sandwich shop with fresh fruit smoothies. YUM! It was a wise choice.